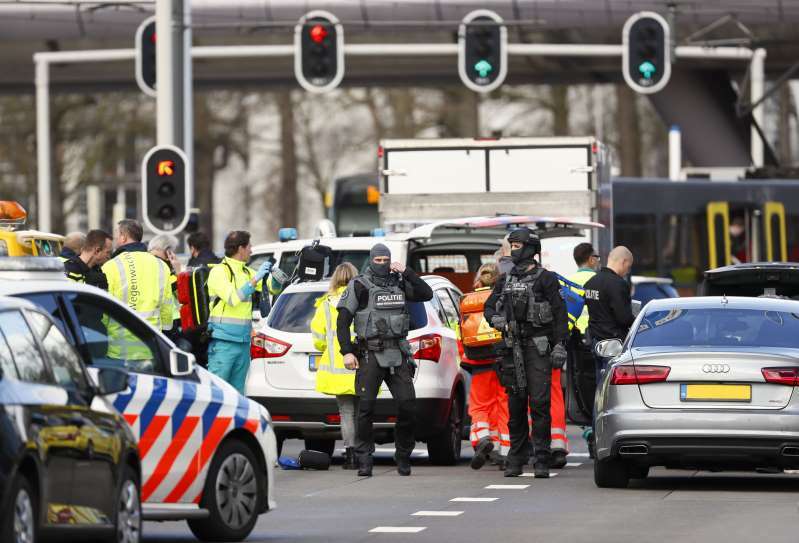 UTRECHT, Netherlands (Reuters) – A gunman shot dead three people and wounded nine on a tram in the Dutch city of Utrecht on Monday and police said they were hunting for a 37-year-old Turkish man in an apparent terrorist attack. Rutte did not repeat earlier suggestions that the shooting may have had a terrorist motive. The Algemeen Dagblad newspaper, citing a witness, said the gunman had targeted one woman on the tram and then shot other people who had tried to help her. Earlier Aalbersberg said the shooting appears to be a terrorist attack. Local broadcaster RTV Utrecht quoted a witness as saying he had seen a woman lying on the ground amid some kind of confrontation and several men running away from the scene.